Since 2002, ADL Smartcare have provided expert advice and information web-based services (SaaS) to Public Authorities across the UK. The service is co-branded between the Public Authority and ADL Smartcare. ADL Smartcare has a knowledge base of over 16 years professional best practice advice which is provided to you, through a series of questions and answers relating to an area of interest to yourself e.g. struggling to get up and down from the bottom of the bath. ADL Smartcare uses your answers to these questions and matches solutions to you including advice, information and equipment to your personal capability and environment, which will help you with your independence and heathy ageing. This matching takes place through an automated decision-making process, which is visible to you at all times and can be challenged if required by a real person. ADL Smartcare has a research base at Newcastle University to understand ageing and how we can improve ageing within the UK and globe. The research is then fed back into the service to support the latest thinking in how to improve ageing for the better, such as the LifeCurve. The LifeCurve enables you to map your ageing and provide targeted information and advice to keep you at the same level of ageing. ADL Smartcare is the Data Controller and the partner organisation (Public Authority) becomes a Joint Data Controller when the organisations accesses the data stored by ADL Smartcare and transfers into an internal system e.g. Care Record system. ADL Smartcare does not have any third-party advertising within the service and we do not send marketing emails or share your information to third parties for marketing purposes. IP address, the website you came from, the device you are using, whether you return to the site and how the site performs for you such as load time. To register for the service, we need your first name, last name, email address, postcode. You can also share other personal information such as address details and data of birth by entering this in the My Account area. Your current ageing position on the LifeCurve, based on research from Newcastle University and ADL Smartcare Research into the order of Instrumental Activities of Daily Living, such as the ability to cut your toe nails. Personal capability and environmental questions regarding your home such as bathroom, kitchen, how easily you can bend your knees or hips and other questions relevant to finding solutions to your specific needs. Tasks you save to complete at a later date such as reactivation exercises and activity relating to those activities such as completing or removing a task from your saved items. If applicable and enabled by the partner organisation, we may allow the ability to log in to the service through Facebook, Twitter or myAccount by the Scottish Improvement Service. Uses navigation data and personal information to provide specific solutions to needs you indicate you have. Specific solutions are matched to your needs through automated decision support, which is clearly indicated within the service through a "matching" page. You can request this decision to be reviewed by a real person through the options available when solutions are presented to you. We do not perform profiling of individuals or use artificial intelligence and we never "hide" what we are doing with your data, which you provide with consent. The ability to sign in with an account from a third party provides the transfer of personal data between two Data Controllers with the consent of the individual. During the sign on process, the personal data shared is clearly communicated to you e.g. name and email address. When you register on the service, we may send you the occasional email to inform you of new content or improvements within the service to support Healthy Ageing. We will not use your information to send you marketing emails. We do not share personally identifiable information with any third party other the partner organisation of ADL Smartcare and the service e.g. the Public Authority such as the Local Authority. With your consent and clear authority, you may request to connect with third party organisations which have services and products to support your healthy ageing. You can withdraw this consent at any time. We and our users, are proud to support the research into improving ageing across the UK and internationally. You can opt in to the global ageing research where your anonymised data collected as a part of this service supports and improves ageing for future generations. At no point are you identified as part of this research and the aims of the research are to improve services, ageing and products for us all to promote healthy ageing and happier lives for longer. You can opt in during the registration process and once registered, you can opt in or out within the account area. This Policy applies to our collection and use of your data in connection with our service and the modules within such as ADL Platform with the LifeCurve™. To contact ADL Smartcare’s Data Protection Officer regarding our processing of your personal data, please email privacy@adlsmartcare.com. ADL Smartcare recognises that your personal data belongs to you and we don’t wish to use it in ways that you don’t want us to. You can access a copy of the information we have on you, through the account area of the service. This is for yourself or any profiles you created for a friend/relative. You can correct any information we have on you through the account area of the service.  You can access a copy of your name and address details in a common, machine-readable format such as Comma-Separated Values (CSV) to share with another supplier. You can exercise a number of rights regarding your data by using the GDPR dedicated contact form found within the service or by contacting the Data Protection Officer. You can make a request for us to delete your data, however we may be prevented to do this if it impacts our ability to defend a claim against the advice we provide or if it is detrimental to you or the public’s health. You may withdraw your consent for ADL Smartcare to collect and process data about you at any time. Please note that some of these rights aren’t absolute - for example, we may not be able to forget you if we have to keep some of your data to comply with the law—but we’ll evaluate your request in accordance with applicable data protection laws. The Data Protection Officer and ADL Smartcare will respond to your request within one month of receiving it. Also, note that you have the right to lodge a complaint with the UK Information Commissioner’s Office or the supervisory authority in your country of residence or place of work. We use technology to collect information indirectly - such as your IP address and mobile device identifier and how much time you spend on the site. This is commonplace across all internet services to enable the investigation of issues such as malicious use. This information is then kept in our internet access logs. We collect information directly from you in a number of ways. One way is by using cookies. Cookies are small data files that save and retrieve information about your visit to our website, such as how you entered our website, how you navigated through the website and what information was of interest to you. This information is collected for a number of reasons, for example, to help develop the website and associated services. Ensuring the best possible experience for the service we use data about you and your use of our service to improve the website and ADL Platform, develop a better self-help solution, ensure you get to the advice faster and drive our research and development and to better understand our users and how they are ageing. We also send you surveys about our Services, which are voluntary. The use of this data is necessary to ensure our interests in improving the tools and platform available to our users through better technology, user design and communications. ADL Smartcare collect your email address as a part of the registration process. The email address is tied to your user account and ensures that you are a verified user. We use your email address to send you important updates about the service. We would never user your email address for marketing purposes or sharing with third parties other than the Public Authority who is the partner organisation. Information provided voluntarily by you. For example, when you request information or register an account, we will collect your name, email address, postcode and password. Data is collected when you perform a self-assessment through the website. This is collected in order to provide healthcare related guidance, information and services. It includes, your Instrumental Activities of Daily Living capabilities, your record of performing the recommended activities and any answers to questions to support the matching of solutions to your needs for a given area of interest such as struggling to get up and down from the bottom of the bath. We never use your identifiable personal to support the ethical research into ageing and improving healthy ageing for others. However, we do use anonymised data for this purpose and you can opt out at registration or by accessing your account within the service. Information that you provide when you communicate with us by any means such as a contact form or via email. Where we are responding to your specific instructions (either directly or through a third party), we will forward information to others as necessary. (You will NOT receive unsolicited information from commercial companies because of data we collect). In addition to your specific requests, there are times when providing access to some or all of your personal data to authorised users from other organisations such as the NHS, Social Services, GPs and the Voluntary Sector, may allow us and them to provide you with better services, and reduce or avoid duplication. Within the service we provide links to third parties. Where we provide a link, it does not mean that we endorse or approve that site’s policy towards visitor privacy. You should always review their policy before visiting the service or sending them any personal data. When you register for the service, you give your explicit consent to the processing listed above for providing information and advice services. You can remove this consent by sending a request through our dedicated GDPR form or closing your account. When you register for the service, you provide consent for us to use your non-identifiable data for the purposes of ethical research into ageing and healthy ageing at our research base in Newcastle. You can opt out at any time by accessing your account within the service. As the service is provided for a Public Authority, ADL Smartcare has a legal duty to ensure that rights as a Health and Social Care service are followed, data shared with public bodies and data is maintained to support any future challenge of the advice provided or in the interests of public health. We employ safeguards, such a formal data governance programme and robust security measures, to protect your privacy. You are not required to provide personal data to us however, your failure to do so may affect our ability to provide some of the Services you may request. For example, we are unable to save an assessment if you do not open an ADL Smartcare account. There is no advertising within the service. We do show retailers or suppliers of services and products so that you can source solutions matched to your needs. We do not get paid to show these suppliers. Amazon do pay us a small affiliate fee if a product is purchased. We do not send marketing emails or allow third party to send marketing emails. ADL Smartcare uses your answers to the questions within the service, to match solutions including advice, information and equipment to your personal capability and environment, that will help you with your independence and heathy ageing. The matching process takes place through an automated decision-making process, which is visible to you at all times and can be challenged if required by a real person following the outcome of the matching. The matching is based on 16 years of independent professional advice, so the outcomes follow best practice across the UK. ADL Smartcare does not use artificial intelligence, profiling or hidden automated decision making which the user is not aware of. ADL Smartcare Limited Infrastructure Provider Dedicated ultra-secure infrastructure for providing the software as a service. Data centre for the service where personally identifiable data is stored securely. We also may disclose your information if required by law, requested by law enforcement authorities or to enforce our legal rights. We may share your information in connection with a sale or reorganisation of ADL Smartcare, but in any such case, the terms of this Policy will continue to apply. 10. Where Are We Sending Your Data? The service is hosted on dedicated, segregated infrastructure within a former nuclear bunker in Kent, UK within the EU. Your identifiable information does not leave this location, unless it is securely transferred to the Public Body who has procured the system. 11. How Long Do We Keep Your Data? We have built the Privacy Impact Assessment process into the organisation’s project management and idea creation framework. Any project which is being proposed will have a PIA completed for ensuring privacy is reviewed. If you work for a company that has a business relationship with ADL Smartcare, we use your data in slightly different ways than for individual users of the Services. We collect a business user’s name, work email address, office number and fax number. We use this data to enable you to sign into your business’ account and to access your reporting information. In addition, we may use your data to perform business services you request. Finally, we will send you the following email communications: operational emails, customer service emails and business marketing emails. When you receive one of these emails, you can opt out of receiving emails from us, other than service emails related to your requests. ADL Smartcare assumes that we are undertaking B2B marketing (sending emails to members of another organisation). If you are a sole trader or individual from outside of an organisation, ADL Smartcare requires your consent to contact you. Under PECR B2B guidelines (https://ico.org.uk/for-organisations/guide-to-pecr/what-are-pecr/), ADL Smartcare will provide an opt out or unsubscribe button on every email. ADL Smartcare uses the principle of legitimate interests as a basis for processing and holding your data as we have gathered your information through interaction with your business and assume that you want to hear from us. We communicate with you via email marketing as we believe there is no less intrusive and timely way to convey the same information. ADL Smartcare assumes we are sending you communications in a way that you would reasonably expect and that we are not causing you unjustified harm.